Please note that the content of this book primarily consists of articles available from Wikipedia or other free sources online. World cinema is a term used primarily in English language speaking countries to refer to the films and film industries of non-English speaking countries. It is therefore often used interchangeably with the term foreign film. 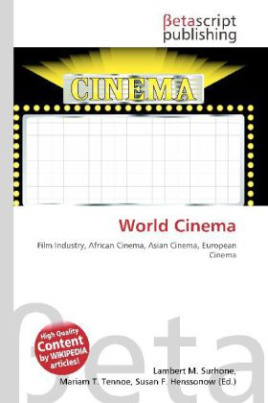 However, both world cinema and foreign film could be taken to refer to the films of all countries other than one''s own, regardless of native language.